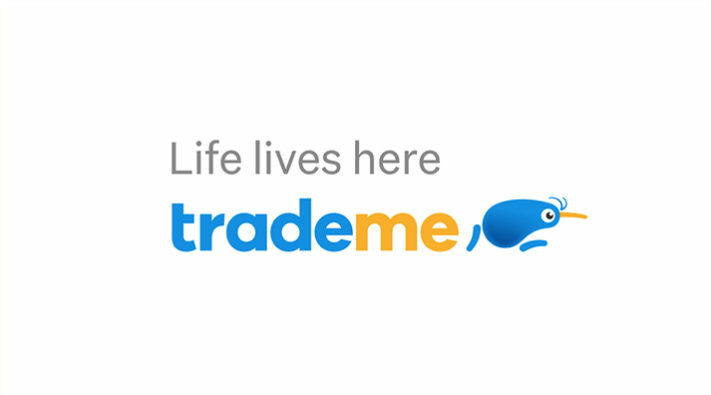 In 2018 TradeMe came to SAS to evolve their ‘Masterbrand’ platform… from a focus on products and services, to a focus on the true role TradeMe plays in NZ life, every day. 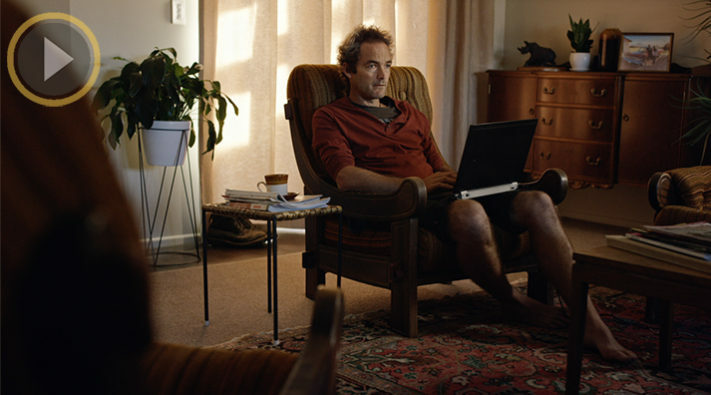 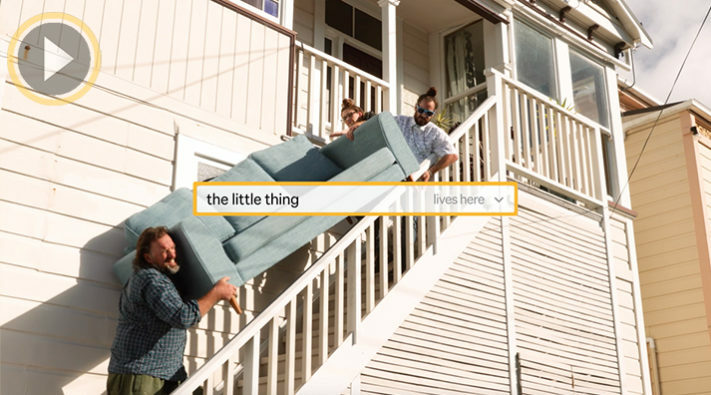 The brief was to create ‘heartland’ brand appeal - show the different parts of life TradeMe supports - with more diversity of execution, and budget stretch, than previous TV-led campaigns. 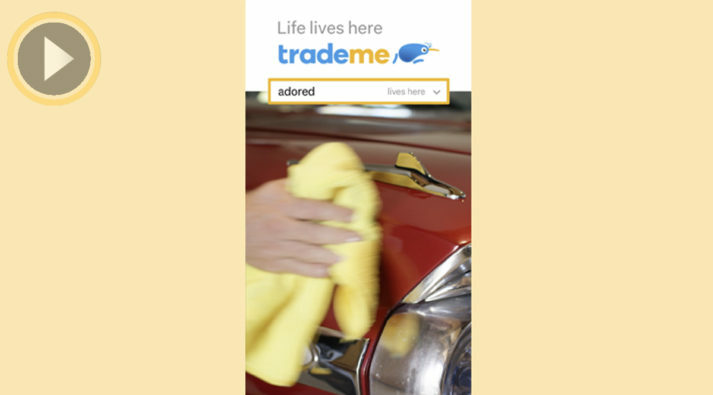 But TV was still a core channel - so four 30 second video executions were created, covering TradeMe’s key business units of Marketplace, Motors, Jobs, and Property. 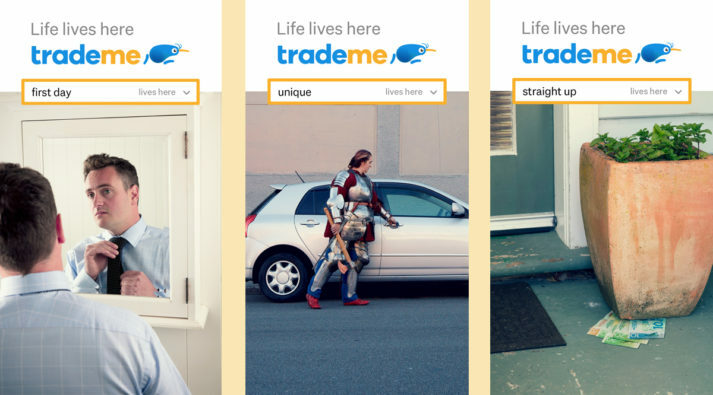 While this context was vital - the stories revolved around showing the human connections and moments that TradeMe supports, or creates. By combining the skills of a top director with a more flexible, social-content focused production company – we achieved considerable efficiencies, with 4 x 30s TVCs produced for less than $130K. 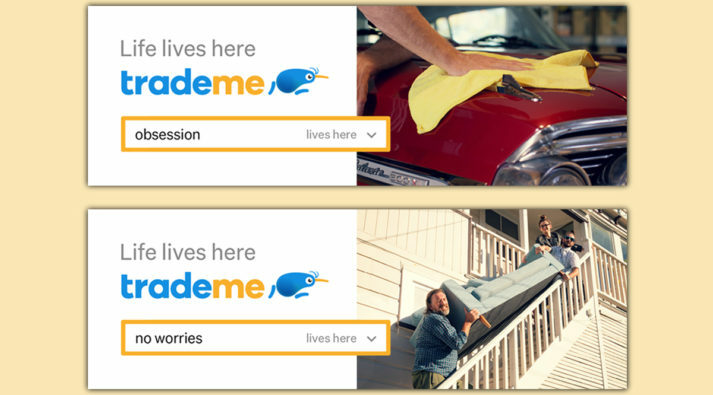 These efficiencies meant that supporting outdoor / digital channels didn’t just draw from the brand TVC’s - but carried bespoke creative, allowing for a much broader range of executions that highlighted more and more relevant TradeMe ‘Life Moments’. 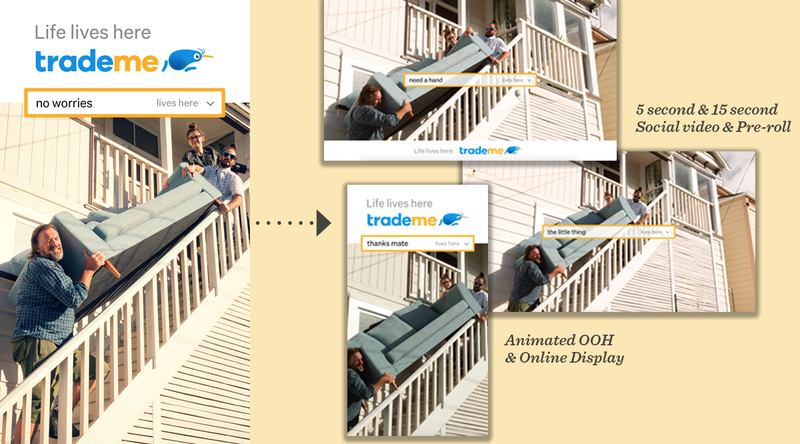 And as well as photography - we captured video footage on every shoot, allowing us to carry the creative across more and more channels in a way that was specifically tailored, for each.